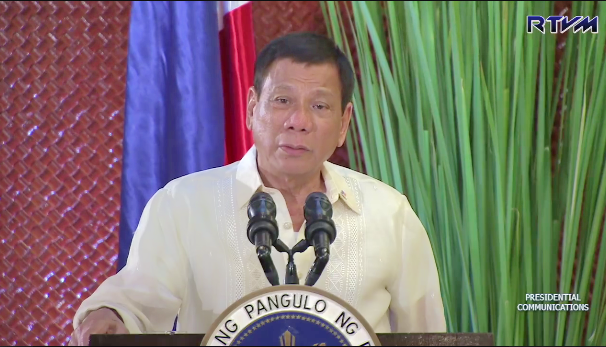 MANILA, Philippines- President Rodrigo Duterte on Sunday, July 17, has revealed his plans to raise the alleged involvement of Chinese nationals in the narcotics trade in the Philippines. The 71-year-old leader made the announcement during a fellowship dinner with his San Beda Law School batchmates at the Malacañang Palace. In his speech, the President said he will air all his grievances to the Chinese government at the proper time as there are bigger issues to be settled now. Duterte said he will ask Chinese officials why most of their citizens who enter the country are allegedly involved in illegal drug rings. Although there has been no reported cases, Duterte said many of the drugs suspects killed in local police anti-drug operations are Chinese nationals. "Itong mga namatay dito na unclaimed, sino ang mag-claim niyan e most of them really are Chinese. That's my lamentation,” Duterte said. In the meantime, Duterte said he would exercise restraint until the bigger issue is settled. The President did not specifically mention the issue but it is believed to be the recent landmark ruling of the Permanent Court of Arbitration on the Philippines case against China. “Huwag muna ngayon because, let’s just say, bigger issues about – but magpakita ako ng restraint muna ngayon,” Duterte said. In his first week as the country’s president, Duterte named Chinese-Filipinos namely Herbert Colangco, Peter Co and Peter Lim as the three top-tier drug lords in the country. He also accused five active and retired police generals of protecting those involved in the illegal drug trade. Last week, an alleged floating shabu was caught by police in waters off Subic. Four Hong Kong nationals were arrested during the operation.